Our job is find the best possible contract for your energy. Our commercial energy brokers have been successfully doing this for a number of years. As a Premier Broker we can access the whole market to get the best possible contract. Personally in the business since 2008 I believe all the elements needed to run a successful business depends on who you work alongside and who you trust. Big names like Costa’s, Boots. Dominoes Pizza and BMW trust us to take care of their energy procurement. How we add value to your business is to fully look after your energy procurement and find the best time to renew future contracts. We do not take any money off you either for this service – our service to you is fee free. We get paid by the supplier so there’s nothing to budget in and you won’t get any nasty surprises. Are you as passionate to reduce your overheads as you are about your business? We can cost assess your expenditure and advise on energy saving measures and on looking at your costs, see any areas that you may have been overcharged for – and what’s more , claim money back on your behalf if you have. I am also affiliated to a major UK utility infrastructure company who are passionate to provide a cost effective solution to any infrastructure project. We can provide an end to end service from in-house design to construction to supply and as an IDNO able to construct private energy networks which saves on time and costs. Also able to provide heat pumps, EV charging points and battery storage either side of the meter. Is your business future ready? Renewable energy generated on-site is the way forward and we can help you with this. Solar or wind we can build the generation needs for your business to complement your sustainable credentials. 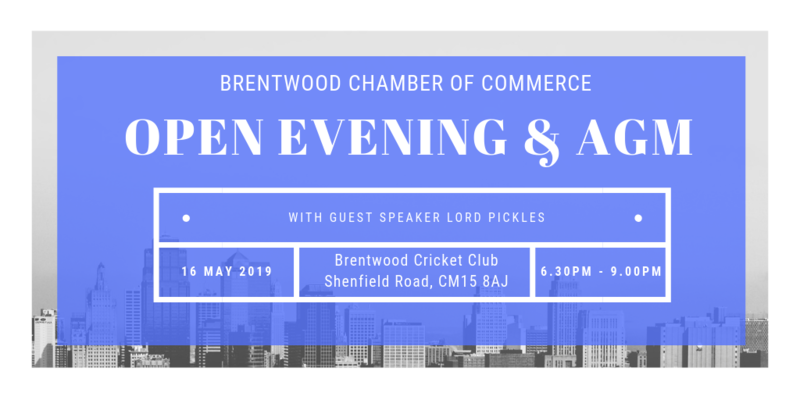 The reasons I wish to be considered to become a member of Brentwood Chamber of Commerce is that I come from outside the area and I am able to do business in any area of the UK. I believe I can add value to current members by my connections I have to further their business. Also to mine where I can offer them an opportunity to obtain the services I offer at a more cost effective way. I was introduced to the Chamber by one of your committee members, Sally when I met her at another network event and she made a good case for me to visit the group. Having a business expert is like having a best friend and a biggest critic… It’s never easy getting an objective answer from yourself about your own business, whereas your business expert will always say how it is! There’s a reason why 94% of successful business owners use external advice. As part of our mission to support SME business owners to address key issues, improve results, and kick start growth, Pro-actions host business classes. Our experienced team take pride in equipping SME business owners with the tools they need to develop a successful business. Pro-actions Business Coaches’ hands-on approach means they can help you clarify your vision, strategy and goals, challenge your thinking, and hold you to account so that you drive your business towards success. They are there to give you real world and personal guidance to help your business grow profitably. Your trusted Pro-actions advisor is beside your company as best friend and harshest critic. We help you to put all of this into place and make sure your focus is on the important things that that your data is highlighting. And we aren’t afraid to roll up our sleeves and get involved with hands on support for specific pain points and projects as we progress. Put simply: we pride ourselves on giving you the help you need to work out what you want from your business and then make it happen. Pro-actions results-focused business coaching provides the support that owner managers of SME businesses need to deliver the outcomes and lifestyles they want. At Purple Hat Property we know that renting or selling your property can be a headache and stressful, we help you keep them away but working with you every step of the way. We keep you up to date with everything so you are not left in the dark. Landlords in the Brentwood and surrounding areas – we can offer you a free valuation service and a report of your property including a prioritised list of things that need to be done (if any) as well as other tips and pointers. We know the importance of keeping your property occupied as much as possible and empty property isn’t bringing in an income for you. If you decide to go ahead we can get your property on the market within 24 hours. We professionally photograph the property with a professional camera and Ruth has a photographic qualification. We make sure that the photos are an accurate representation of your property. As well as looking after you and your property, we also look after the tenant. We understand that a looked after tenant will take more care of the property and let us know if there are any issues. We have several levels of service so you can choose the aspects you need help with. If you would like to have a chat with us to find out how we can help you, give us a call.